At LeanSixSigmaBelgium.com we believe that the rate at which organizations learn and operate may soon become the only sustainable source of competitive advantage. That’s why we work in close collaboration with our clients to seize extra-ordinary opportunities in their ordinary operations. LeanSixSigmaBelgium.com is an IASSC accredited training organisation. Our mission is to support your organization in the learning and the development of Lean Six Sigma, continuous improvement and operational excellence skills. Lean Six Sigma Belgium provide intensive trainings alongside project management coaching and consulting. We take you step by step through the certification stages and project deployment. Together we align your organization to achieve success. 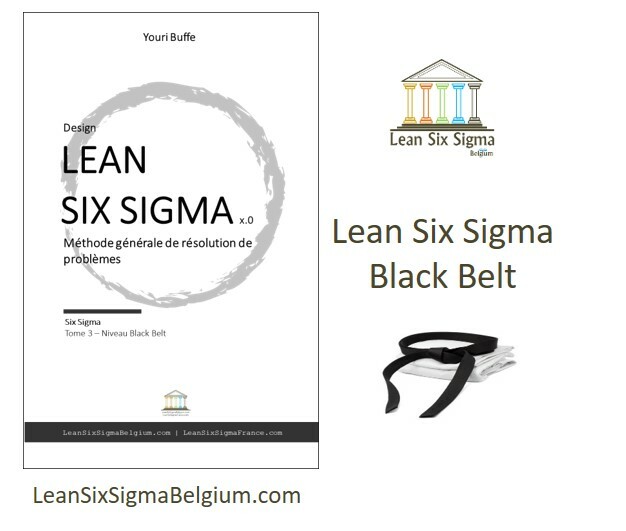 Lean Six Sigma Belgium is a team of experienced Black Belt consultants, engineers and operational excellence change agents. Why implement LEAN SIX SIGMA? 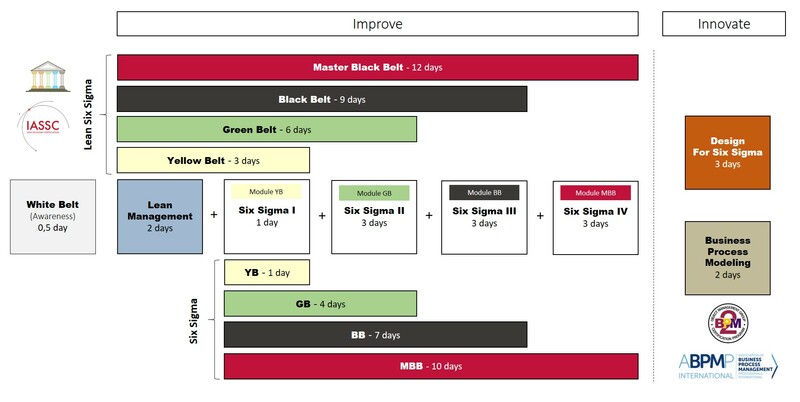 We offer Lean Six Sigma Yellow, Green and Black Belt trainings. Our workshops and business case programs employ teaching methods which focus on the mental, physical and emotional development of participants. Their contents are specifically tailored to the training objectives, the participants and your organizational culture. The teaching methods Lean Six Sigma Belgium use are fun, participatory and collaborative, involving problem solving, role playing and real cases project management. They offer motivating challenges and stimulate participants to invest in their training. In option after the training, each participant/team will receive 4 sessions of 2 hours of for project mentoring. They will get personalized feedbacks of a Master Black Belt to prepare for the practical certification or to use Lean Six Sigma Tools in a project. As well as 1/1 coaching, it is also possible to organize Lean Six Sigma serious games days where the managers as well as his/her team will work on waste and quality issues so that they can improve the efficiency at the workplace and produce better results. How does Lean Six Sigma Belgium do it? We use Lean Management principles to learn how to identify waste in order to design faster and responsive processes. Six Sigma principles to improve customer satisfaction by delivering perfect products and services on a consistent basis. Prepare you to deal with those Lean and Six Sigma principles. Deal with operational excellence, continuous improvement and customer satisfaction issues. Define, Measure, Analyze, Improve and Control are the 5 pillars of our organisation. Who is Lean Six Sigma Belgium for? Lean Six Sigma Belgium’s service extends beyond our work: we promote the exchange of expertise between our consultants and your organization. We believe that co-creation between us is key to the success of your operational excellence challenges. Through the development of these synergies, we ensure your people to master Lean Six Sigma philosophy and to run it afterwards.